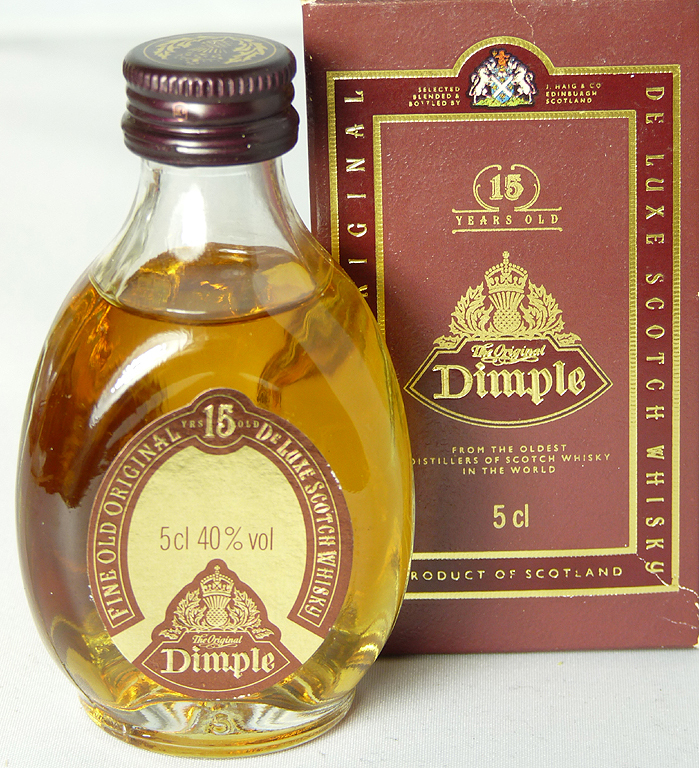 The ‘Dimple’ is a must-have whisky for any collector, which is why I’ve had it on my wishlist for some time. I was tempted to buy a new bottle from my local Wine Rack but, at £36.99, it was a lot of money for a blend and when compared to better whiskies at the same price or less. So, when I saw this miniature in an auction, I couldn’t resist getting it for a couple of pounds. The ‘Dimple’ was first produced in the 1890s by John Haig & Co Ltd. There is no shortage of full-sized vintage bottles selling in auction for £20 or less, which is why the new price seems so ridiculous! But with a cute name and a unique bottle shape, it’s a lovely whisky to have. For the latest version the Whisky Bible 2014 give it 87.5/100, so it’s improved a lot since 2006. I’ve included this older score for reference, even though my miniature might well be from the 1980s or even 1970s.